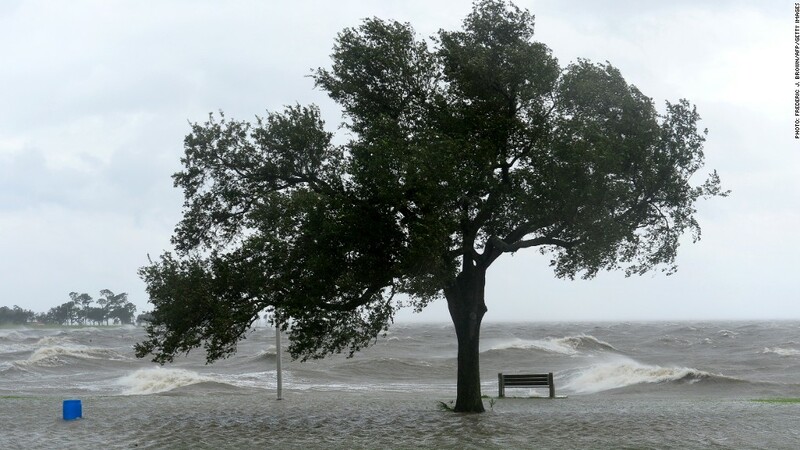 Hurricane Isaac brings strong winds and big waves in New Orleans. As Hurricane Isaac continues to pound the Gulf Coast with rain and wind, meteorologists say the storm could provide some much-needed hydration in parts of the country hit hard by drought. Isaac will bring "soaking downpours" to parts of Arkansas, Missouri and other Central states into the weekend, according to AccuWeather. The rain will arrive too late for summer crops, such as corn and soybeans, which were damaged by the hottest July on record. But the moisture could reach far enough westward to benefit some of the upcoming winter wheat crop, according to Dale Mohler, a meteorologist at AccuWeather. "The wheat over the central and southern Plains is generally planted during September, and replenishing soil moisture prior to planting after summer drought is essential for any new crop," Mohler said. However, the silver lining could still be tarnished. AccuWeather warns that slow-moving tropical storms like Isaac can follow an erratic path, drenching certain areas and bypassing others. There is also the potential for Isaac to run into "an atmospheric roadblock" that would slow its progress westward as a high pressure system builds over the northern United States, the forecasters said. "It obviously will not rain everywhere in the Midwest from the system, so folks should not get their hopes too high just yet," said AccuWeather senior meteorologist Brett Anderson.